For a high-quality vehicle at an affordable price, you’ll find just what you’re looking for with the used-car selection at our Hyundai dealership in Littleton, CO. From used Hyundai sedans that are perfect for trips across Colorado to pre-owned Hyundai SUVs that are safe enough for the whole family, you can be confident that you’ll find just what you’re looking for at McDonald Hyundai. Sail well past the pump with the used Hyundai Elantra or experience an elevated feel to your drives with a pre-owned Hyundai Tucson SUV. Ask about our Certified Pre-Owned vehicles that come with additional assurances, guarantees and warranties, too. For those working on a tighter budget, browse our selection of used cars for under $10,000. 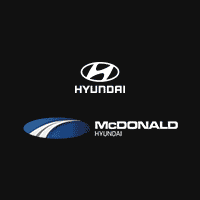 Check out the used inventory at McDonald Hyundai today!